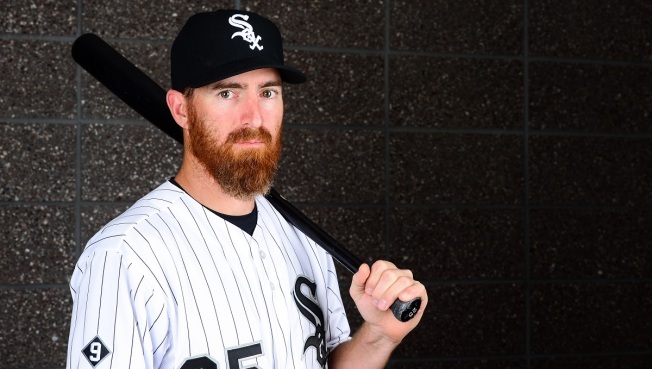 Adam LaRoche of the Chicago White Sox poses for a portrait during spring training photo day at Camelback Ranch on February 27, 2016 in Glendale, Arizona. The Chicago White Sox have been looking for ways to construct their lineup throughout spring training, but on Tuesday things took an interesting turn as one of the team’s veteran players made a stunning announcement. On Tuesday, first baseman Adam LaRoche made the revelation during a session with media members at Camelback Ranch in Glendale, saying that he intends to retire from baseball due to a personal issue. LaRoche, who is 35 years old and entering the last year of a two-year contract he signed with the White Sox before the 2015 season, was set to earn $13 million this season, but the team won’t have to pay him that money as he steps away from the game. The veteran first baseman struggled in a big way during his first season on the south side, hitting just .207 with 12 home runs and 44 RBI in 484 plate appearances. It was arguably the worst offensive season of his career, and it was part of a pattern of free agent acquisitions that fizzled out for the White Sox en route to missing the playoffs for the seventh consecutive season. With LaRoche out of the mix, it would appear that Jose Abreu will get the bulk of the time at first base, and it also likely means that Melky Cabrera will get plenty of chances to be the designated hitter in 2016. That will likely mean a shift for Adam Eaton into a corner outfield position, with Austin Jackson settling into center field on a consistent basis.